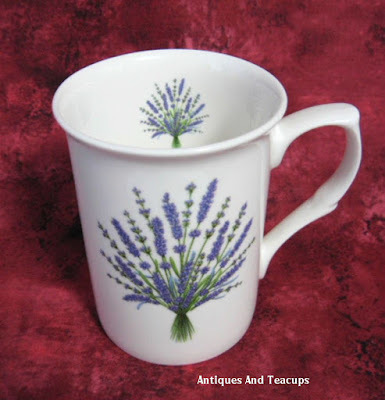 Antiques And Teacups: Tuesday Cuppa Tea, Sequim Lavender Fair Weekend! 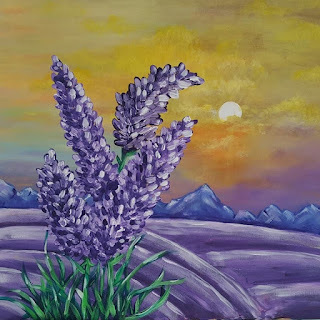 Tuesday Cuppa Tea, Sequim Lavender Fair Weekend! Because I am in Lavender Festival country, I keep these in stock pretty much all the time, if I can get them! 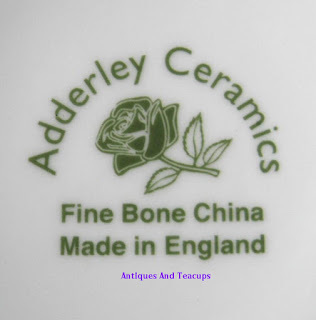 Adderley English bone china with a sprig of Lavender both sides...perfect! I am reposting the following in honor of the Jardin du Soleil Lavender Farm, one of the oldest of the 30 here in a 10 mile radius. On the first day of the Lavender Festival, we choose a lavender farm to visit, and this year (2011) we visited Jardin Du Soliel early in the morning before the crowds arrived. So...you can see, how much there IS to see! So many farms, crafts, food...you name it. We are not big on crowds, so tend to get in and out early. The sun was pretty much behind a marine layer...and drizzle, and downright rain at times! But...we always look forward to it! This is at Oliver's Lavender Farm... weather was a bit better this year, a bit more sun, and downright lovely in the low 70s Sunday! Wonderful! Thanks so much for joining me for Lavender Festival tea! Good morning, Ruth! It was so nice to hear how people pitched in to keep the one lavender farm up and running. Hopefully, someone wonderful will buy the farm and keep up the good work. Thanks so much for hosting and have a good week. I love love these photos and that place is heavenly. I feel I can smell the lavender. I love the display of many plants! What a charming place, craft fair and post! Yes the pictures were stunning!! Thanks for sharing! 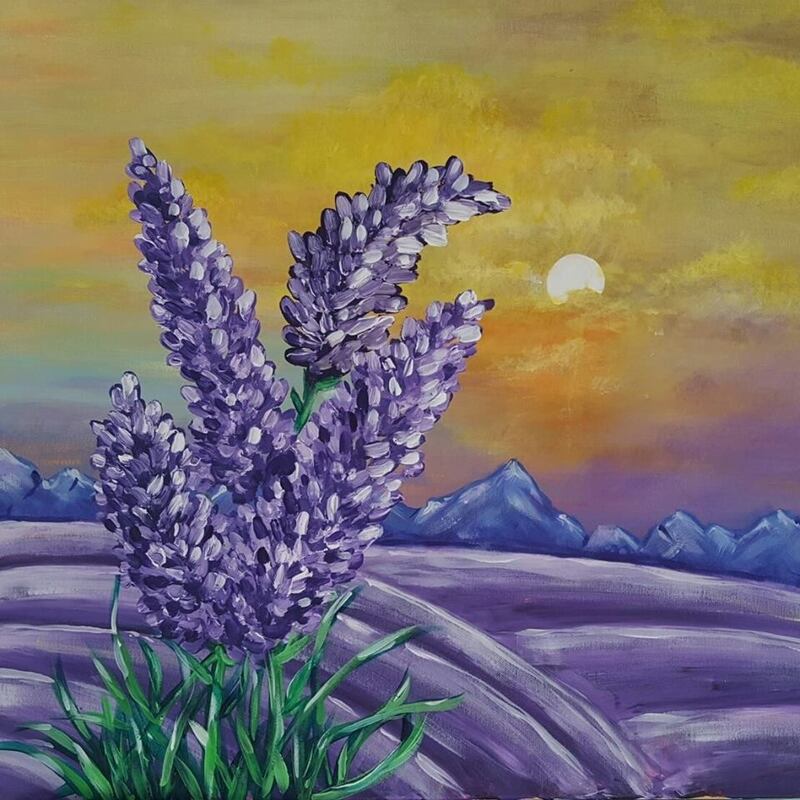 Wonderful photos of Lavender farm!Thanks for sharing, hosting and visiting!Hugs,Maristella. 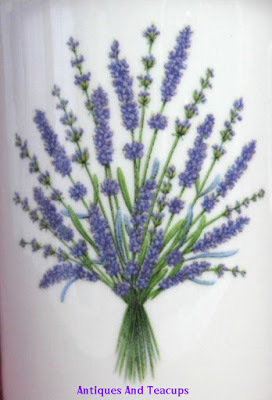 Ruth, how I would love to attend the Lavender Fair - I wouldn't even mind the rain! It's sad to hear of that lovely place being sold, but heartwarming to hear the way so many pitched in so that they could participate one last time. I always enjoy seeing the Lavender Fair through your eyes. Purple is my favourite colour so I'm loving all the pretty lavender. I'm not usually a fan of floral teas, but I'd be willing to sample of the lavender teas. Thank you for hosting and have a great week! What a joy that Lavender Fair must have been! Beautiful. :) Thank you for hosting the party. Ruth, that was a lovely post on the Lavender Fair. I don`t associate lavender with food but there are a few products in your post. Thanks for sharing and hosting. Have a great week. Sylvia D.
Lindas as fotos adoro lavandas. Ruth, I popped back in with my rustic spinach tart that I cut into 16 slices for afternoon tea or hors d'oeuvres. Finger food, no fork necessary. I would love to attend the festival and visit lots of farms. Lavender is heavenly. Hi Ruth, what gorgeous photos! I love attending lavender festivals. I attended one locally a few years ago and one in OR while vacationing with friends. Thanks for sharing with SYC. I'm sure it's not intentional, but I'm not seeing a link back to the party. How beautiful Ruth! Thanks for taking us there! Thanks for sharing at Home Sweet Home! Tuesday Cuppa Tea for July 4th!